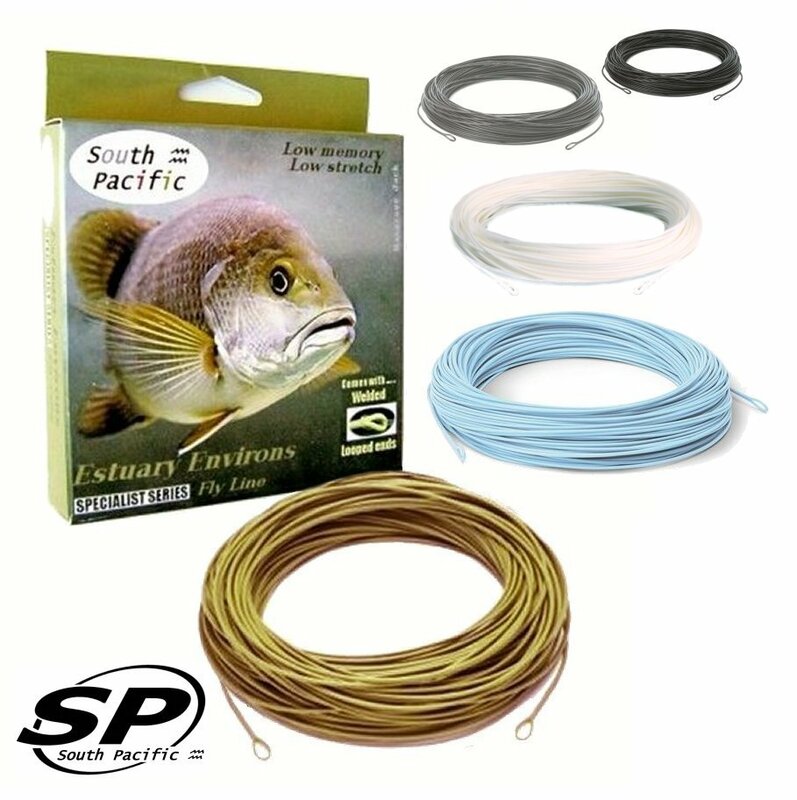 The SPECIALIST SERIES fly lines have been developed to suit particular applications in particular fishing situations. Each line has been custom developed to suit its application. This results in giving the angler an extra advantage in a SPECIALIST fishing environment. Customised characteristics include tapers, colours, slick tough coatings and low memory line cores. Streamline loops are on both ends, eliminating the need for knots or loop connectors. Every fly fisher knows that the length of your best cast can often fall short of target, especially casting big flies. The Outcast specialist taper with its short aggressive head gives you extra casting distance with far less effort ! The no memory twin-coloured Olive/Ivory coating offers a colour change 'pick-up point' so you can easily see when to lift, and shoot. The bulked up head has no trouble getting your fly to the target over longer distances no matter how big or bulky your fly. You're bound to be Outcasting distances you never thought were possible. Estuaries are exciting places to fish and the conditions and terrains are varied and demanding on tackle. Estuary fish play hard and fight dirty and are never far from familiar cover. Every advantage the angler can get is necessary with underwater hazards such as rocks, wood structures, oyster racks and anything else that the fish on the other end is going to drag your fly into. So we've built our ESTUARY ENVIRONS lines with a low stretch core to shorten-up running fish in a tough supple coating & a colour best to blend in with the above & below water landscapes giving you the edge over tough fish. Streamline loops on both ends. Fishing TROUT WATER is as much a science as a sporting pursuit. SPECIALIST tackle and presentation is often the key to success and the advantages provided by this SPECIALIST fly line goes a long way in providing the angler with confidence to bring everything together. The low stretch inner core has been developed to offer the quickest strike and hook time possible. Tapers are subtle to aid presentation while still maintaining excellent casting distances. Line colour has been selected to keep the line disguised above and below the water. Streamline loops on both ends. A low stretch core incorporating a SPECIALIST weight-weight forward head that is designed to provide quick shooting casts with minimal backcasts so you can get your fly to the fish fast. 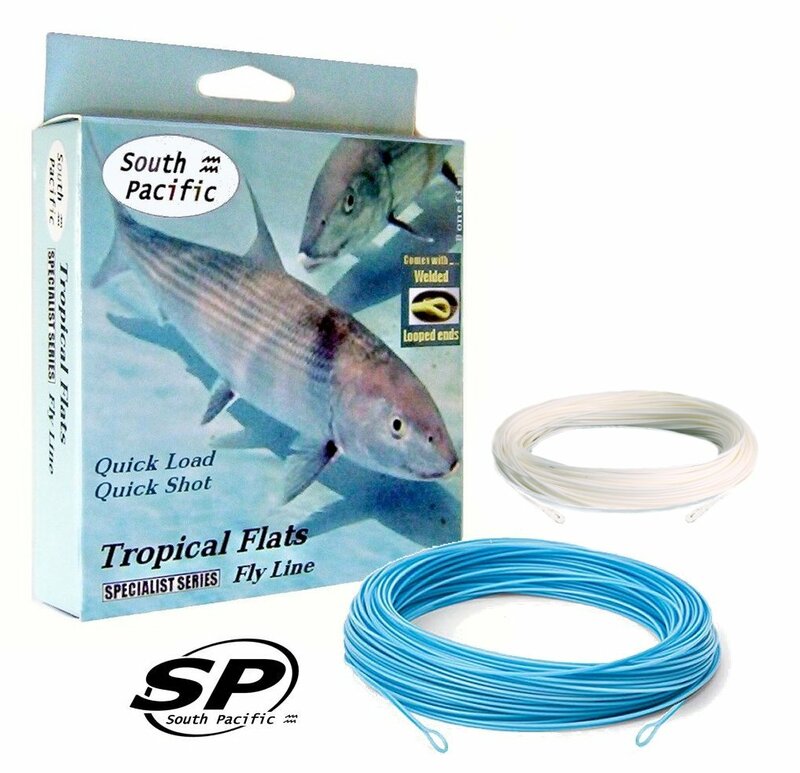 Whether you're needing to cast long or short, the extra weighted head in this SPECIALIST floating line will have you at an advantage on the TROPICAL FLATS where the fishing is often spontaneous. The SPECIALIST weight-weight forward head is also a real help in keeping your fly on target on those gusty windy days. 120ft long Streamline loops on both ends. There are times on the water when a crystal clear fly line and a stealthy approach is a CLEAR ADVANTAGE in getting the edge over the target species. These SPECIALIST fly lines are built on a mono core and are one of the clearest fly lines on the market today. Whether you're targeting spooky fish on the flats or a resident fish in tight water, you'll be one big step ahead. Available in weight forward floating and intermediate options with a temperature resistant coating suitable for freshwater and saltwater fishing. 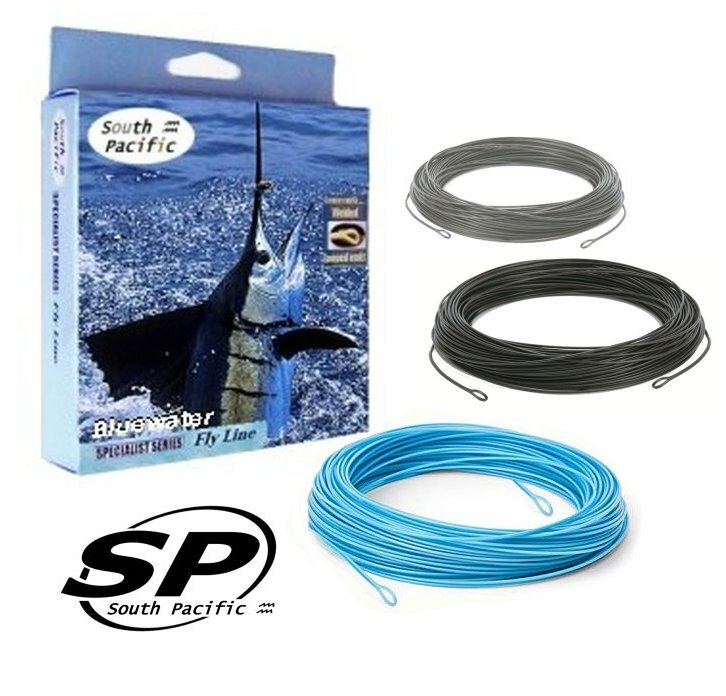 The South Pacific Bluewater Specialist Fly Line is a low stretch core incorporating a SPECIALIST weight forward head that is designed to provide quick casts with minimal backcasts so you can get your fly to the fish fast. 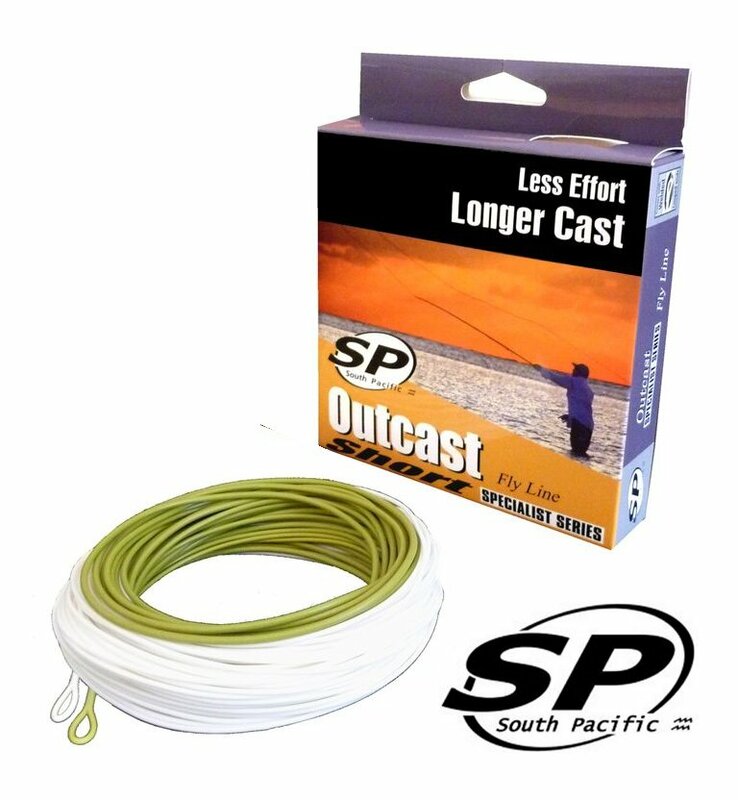 When you need to cast to your bluewater opponent whether it be long or short, often a quick cast is the best cast and the forward weighted head in this SPECIALIST bluewater line will have your fly to the fish fast ! 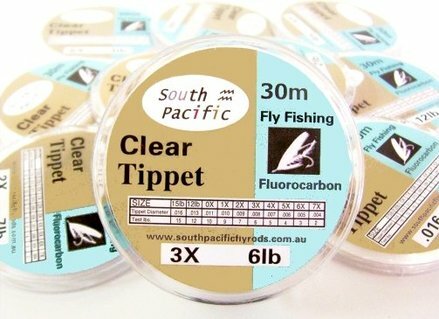 South Pacific World Class Leaders & Tippets are produced from the most advanced co-polymer and fluorocarbon materials available today. Special UV inhibitors eliminate damage caused by exposure to the sun's ultraviolet rays. Ultra-Clear reliable Fluorocarbon Tapered Leaders. Super low memory, supple for superior Knot strength and stealthy presentation. Fluorocarbon is virtually invisible underwater and is well known for its abrasive resistant properties. Ultra-Clear reliable HARD fluorocarbon tippet material for Tying Leaders and Tippets. HARD condidtions and toothy fish demand hard tough tackle and this TIPPET is produced to meet those demands. 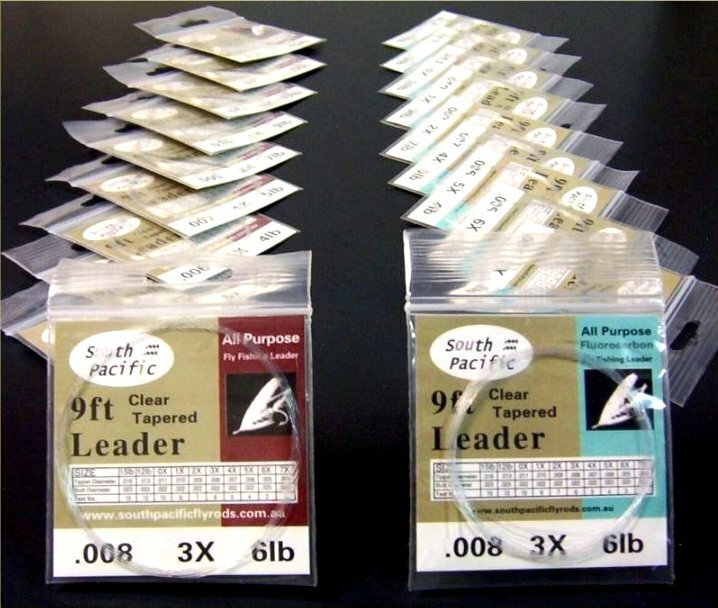 Ultra-Clear reliable co-polymer tippet material for Tying Leaders and Tippets. Super low memory and is extremely supple for superior Knot strength and delicate presentations. Ultra-Clear reliable Fluorocarbon tippet material. Super low memory, supple for superior Knot strength and stealthy presentation. Fluorocarbon is virtually invisible underwater and is well known for its abrasive resistant properties. 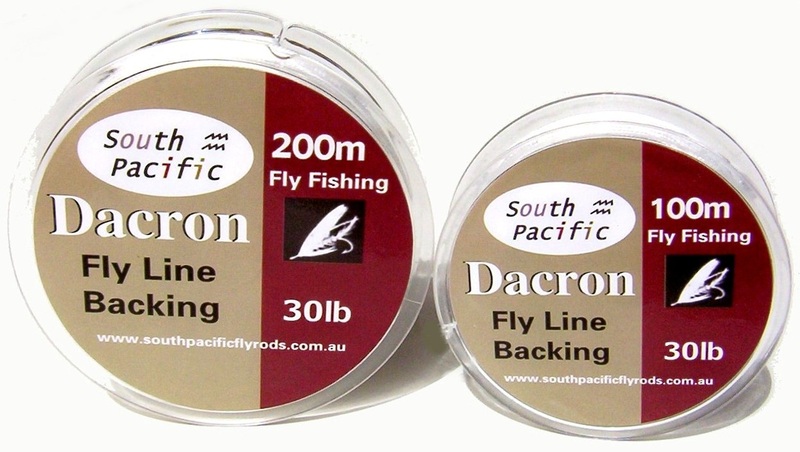 30lb Dacron backing is the best choice for fly line backing. The open-weave construction of dacron drains well eliminating any problems of rotting or mildew. Dacron is less abrasive on the finger than braid during fishing and stores well on the reel. Most fly lines generally have a 30lb core breaking strain. 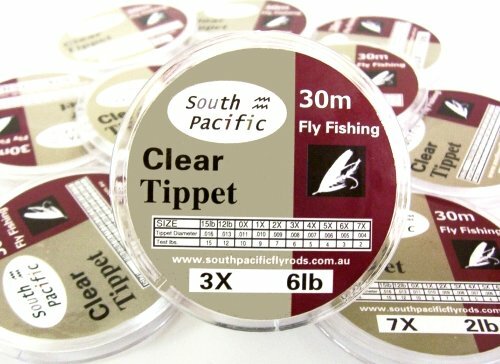 While the breaking strain of an outfit is ultimately determined by the tippet class, instances can occur where the actual fly line can become entangled when fighting a fish or around underwater structures. This is when the breaking strain of the backing needs to be at least equal to the fly line not less, so that if a break-off occurs the best chance of retaining the fly line is protected. If the backing is below 30lb, the backing will likely break thus resulting in the loss of an entire fly line. The FAST, simple and securest way to connect your line to backing and leader. 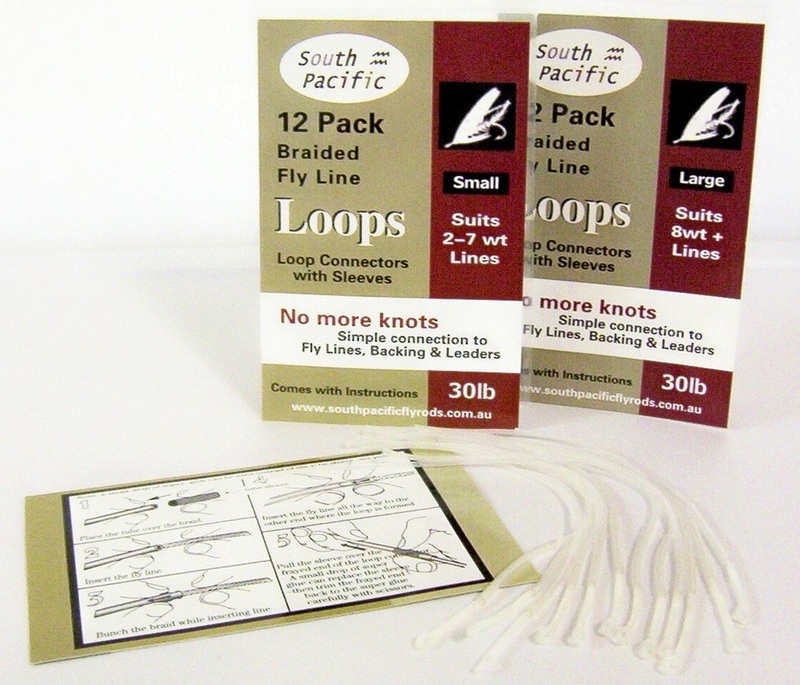 Loop connectors enable you to loop your fly Line to backing & leader in seconds. 30lb braided construction. Each connector supplied with a sleeve option. 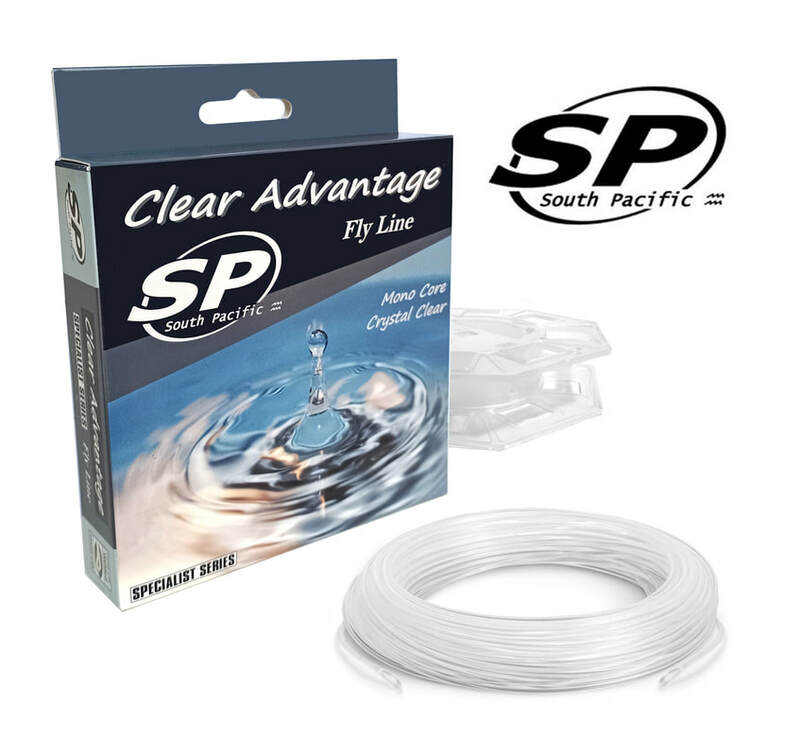 Undetectable clear braid comes with simple step-to-step fitting instructions to ensure correct fitting without any flat spot on your fly line. If you aren't using loop connectors it's time you were !